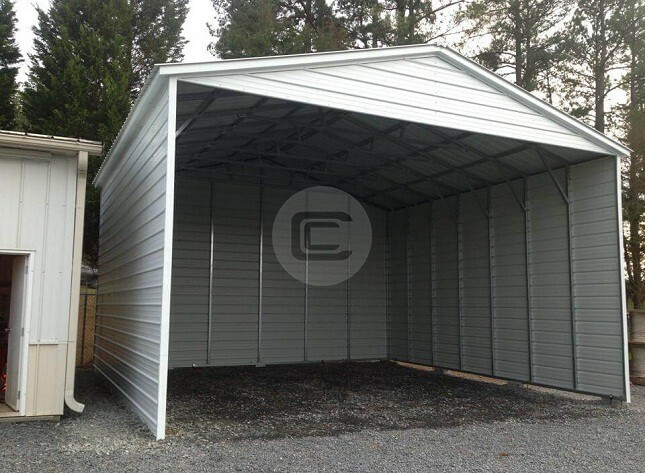 Featuring – 36×36 feet garage building with lean-to. 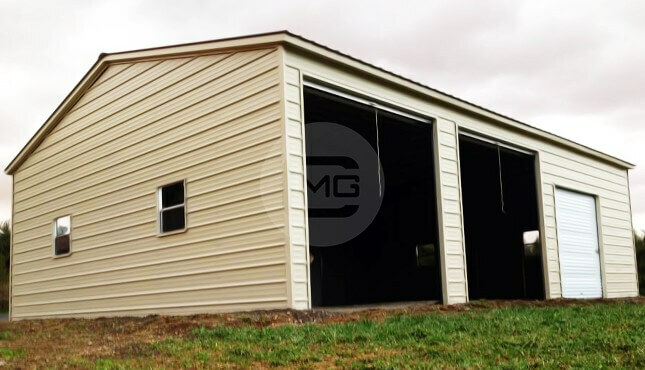 The total width of this garage building is 36’ wide where 24’ is enclosed area and 12’ is open lean-to; total length is 36’ where first five feet is open porch and rest is enclosed with horizontal wall panels. 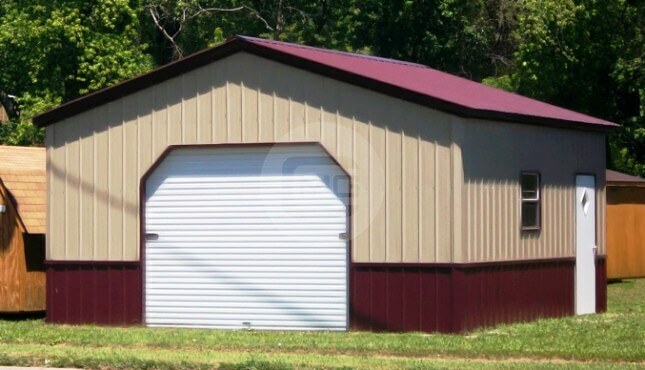 Total height is 9’ for the garage building and 6’ on the attached lean-to. 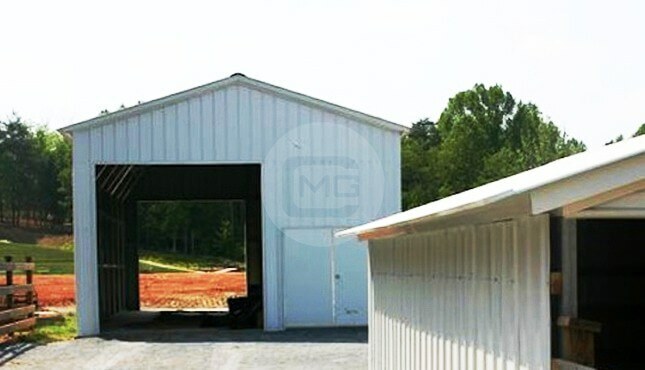 This 36×36 feet garage building has a vertical roof style and is certified for 140mph wind and 30psf snow load. 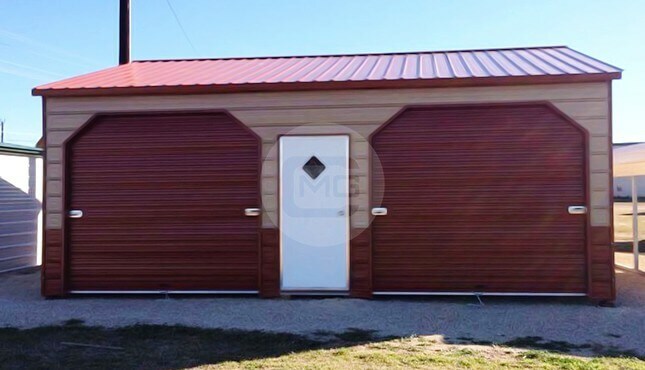 This combination of roof and building code is most recommended for regions with heavy snowfall. Certification adds extra anchors and braces to give additional strength, and vertical panels let the snow slides off easily from the building. Carport Central’s 36×36’ metal garage building is built with 14-gaueg galvanized steel tubing with two 8×7 feet roll-up garage doors on the front, one 36×80” walk-in door and one 30×30” window on the side of the building. 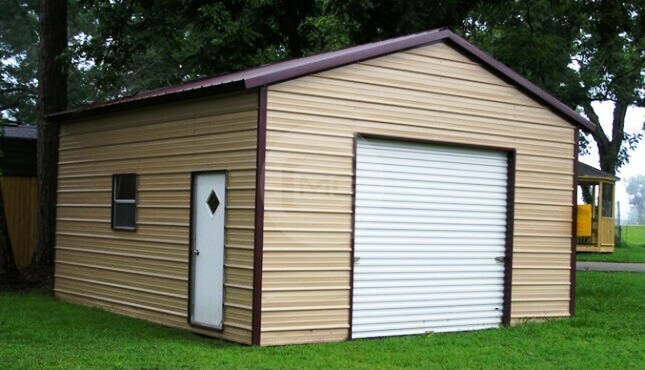 Please note that the actual length of the building is one foot shorter than the listed length. 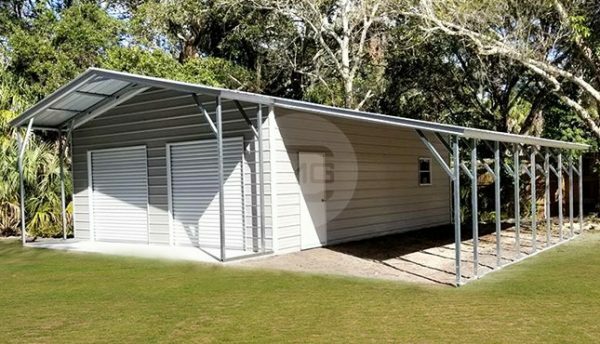 You can get the exact building today with just a small deposit, delivered and installed for FREE. 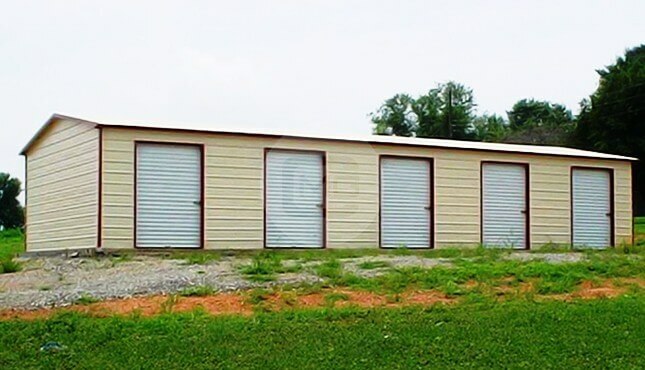 We also offer RTO and Financing. 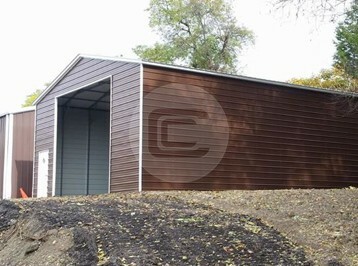 Color options available at no cost. One-year workmanship warranty, ten-year panel warranty (chipping and cracking only), and 20-year rust through warranty on both the 12 gauge and 14-gauge frames.